Home» Articles » What Causes My Depression? Who wouldn’t get depressed with modern life you may say, but humans have always got depressed when problems seemed insurmountable. Once we see a way through the problems, we slowly work out a way forward and life gets brighter. Since the medical mafia (medicine/pharmaceutical business) can see a big profit they will convince you it is a disease that needs drugs. To think and perform at your best to deal with the problems that got you depressed, you need a really healthy diet as well as specific essential minerals to help your thinking. Do they actually work? Or, is it all in the mind? There are more studies showing that antidepressants are actually placebos in the majority of people. Are They Addictive? Or Is This BrainWashing? Although antidepressants are not generally considered to be addictive by most pharmacologists (except by those few with addictive personality problems), users who stop taking these medications report side effects that are similar to the symptoms of drug withdrawal. 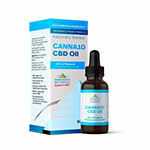 I agree with the pharmacologists and it’s the same for anyone who has been consuming things that make them feel good – they will have withdrawal symptoms when they stop. Over the past 25 years I have helped thousands to stop consuming sugar and starchy carbs and virtually everyone has withdrawal symptoms after they stop eating these foods (including me and my wife, Anne) but you will get over it within 30 days. Those with addictive personality problems are best supported by Cognitive Behavioural Therapy (CBT) (according to studies). Usually you have to pay for this treatment as the medical mafia don’t like this competition and they disparage it. Other than behavioural problems which are best resolved with CBT, most conditions have a cause and that includes anxiety, brain fog, mental fatigue and mild depression. There is no more possibility of ‘pulling yourself together’ (without dealing with the cause), than there is for someone to say the same about arthritis or lung disease. You will always need to deal with the cause. These conditions come and go in cycles and my experience is that these periods coincide with changes in the weather and certain times of the year when the diet goes wrong, including stopping critical minerals. We are going through one of those periods just now and I get numerous emails asking for help with these problems. There are many causes including: yeast, fungus, infections and specific missing nutrients which cause many of the most identifiable problems with these conditions, and especially, inflammation. Inflammation in these cases is likely caused by infection and it is definitely identified by researchers to be implicated in these conditions. 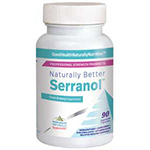 Serrapeptase and Curcumin are both needed as anti-inflammatories and Curcumin is also an anti-fungal. Readers will know that Curcumin is a good anti-fungal as well as being an anti-inflammatory. 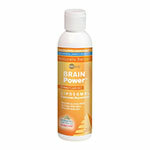 The new Liposomal BrainPower Curcumin/Resveratrol is particularly exciting as it absorbs in the mouth and into the throat and head without the long trip via the digestive tracts. 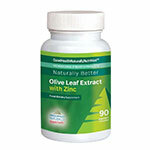 To get the best anti-inflammatory benefits, hold this supplement in your mouth until it is completely absorbed. Critical for brain health is B12. 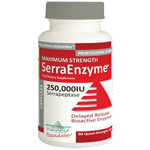 There is an epidemic of B12 deficiency among the population and especially amongst seniors. 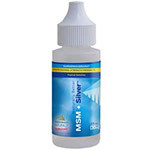 Some seniors are thought to have mild dementia when it is really a B12 deficiency. Of course, fungal problems can also be part of the symptoms of dementia since studies show that fungus is always present in Alzheimer’s. The doctor’s solution to B12 deficiency is not very useful as it involves a monthly injection which will only last for a week at best before the B12 is deficient again. B4Health contains B12 and a whole raft of essential nutrients for the brain and since it is also liposomal, taken twice per day, and held in the mouth until absorbed, it will give a consistent level of B12 and other critical nutrients to the brain. 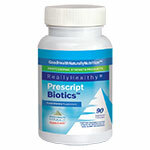 Prescript-Biotics is especially important to support the immune system to defeat the build-up of fungus which in most cases starts its journey to the brain from the digestive tract. 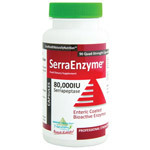 80% of the immune system is powered by healthy Probiotics in the digestive tract. Prescript-Assist can be taken in high doses to start with but later can still protect with as little as one capsule per week. 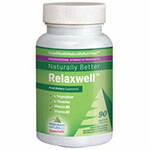 If you are generally feeling down then RelaxWell is the supplement to brighten your day. 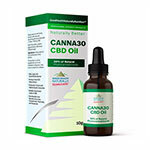 It contains well known proven ingredients such as L-Tryptohan, L-Theanine, along with Vitamins B3 and B6 that can all help to promote a relaxed state of mind and support emotional wellbeing. 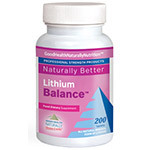 The mineral Lithium is gaining popularity as a supplement. The studies for anti-ageing of the brain is one reason but the main reason is balanced moods. I have taken it now for 10 straight years and will never stop. Drink 6 x 500ml glasses of water with a 1/3 teaspoon of bicarbonate of soda in each glass over the day. 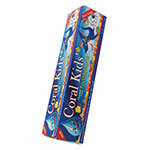 Sip it slowly and swish around the mouth as you drink it. Bicarbonate of soda can initially help deal with Fungus.